#3: One In, One Out? AldoHyde is a Sims 2/3/4 Machinima Director, Author, Critic, Game Guide Writer and Hyde Dynamic Racing Man. From 2010-2018, he completed StrangeTown Monty (STM) Sims 2 Simlish Machinima Series, a scientific conspiracy & psychological drama; its spinoff Sims screenshot stories: PVCS vs STM Football 2015 / 2035 Matches, Goals of Daniel Pleasant (GODP), and StrangeTown: Specter Yard Conspiracy (STSYC) / Olive Specter’s Timeline (OST). Upon the completion of STM 2.12 in November 2018, AldoHyde has retired from Sims machinima and stories (unless explicitly said otherwise in future on this STM blog), moving on to larger projects in larger universes. What Video Editor do you use? How do you get such a clear picture when filming? Is Sims 2 compatible with Windows 10? Which versions of Sims 2 did you run on your various Windows versions over the years? On Windows XP, I installed the 4-CD version of the Sims 2 Base Game, and installed the Expansion Packs and Stuff Packs one by one. On Windows 8.1, I installed Sims 2 Double Deluxe (Base Game + Nightlife), and installed all remaining Expansion Packs and Stuff Packs. On Windows 10, I run the Sims 2 Ultimate Collection via Origin. Which Sims 2 Expansions do you have? Every Expansion Pack and Stuff Pack is available in Sims 2 Ultimate Collection. Before Ultimate Collection, I still had All Expansions, since I can make videos on ALL DEFAULT Monsters & Ghosts. Before Ultimate Collection, I only had the following Stuff Packs: Happy Holiday, H&M, Teen Style, IKEA. Why are your sims wearing makeup? I use replacements of the default skins. That’s how the faces are like for these custom skins. Download [Skins] & [Eyes]. Why do you insist we read the FAQs of your individual Machinima? It is more efficient this way. I take PAINS to make the FAQs on this website as comprehensive as possible. YT Video comments get “buried” over time, & I don’t like answering the same questions over & over. Why don’t you film more with Sims 3 / Sims 4? The towns (worlds) look great, and customizing the sets have never been easier in Sims 3. 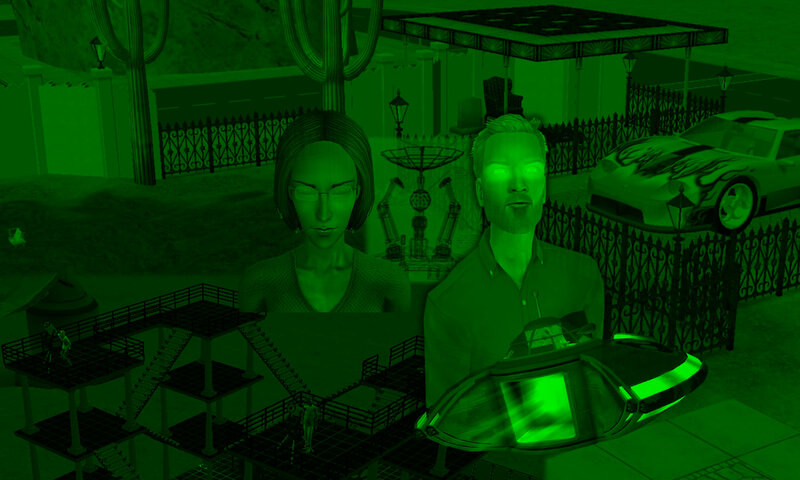 But for now, I can’t get over the fact that Sims3 sims look like plasticine models. I also find it harder to control the sims & sets for the actual production process. It is clear how a game from 2004 (Sims 2) differs from a game from 2014 (Sims 4). Do you recall how we had to manually buy mobile phones for our sims in the Sims 2 University Expansion Pack, as these were not available by default in the base game? But at this time, I do not see myself controlling the sets/characters for machinima in Sims 4 as thoroughly as I do in Sims 2. I tend to load Sims 4 for casual gameplay instead of for carefully-constructed storytelling. Most people tend to find new games more fascinating than old ones, though this is certainly not true for my approach to Racing Games. However, my tendency to NOT let go of old games works in favor of me holding on to Sims 2 to complete STM. Why don’t you make a Pleasantview machinima series? Short answer: My primary aspiration is Knowledge, not Popularity. Long answer: It is more important for me to experiment and test boundaries, than to follow “guaranteed” paths to popularity. There are no shortage of simmers who have attempted Pleasantview stories and videos, with varying levels of success. I identify more with Strangetown because of my eccentric personality. I made StrangeTown Monty (STM) uniquely mine, by adding the ultimate underdogs of Veronaville family bin (!!) characters, and my own CAS Racing Men. On top of that, Sims-related machinima and stories are unpaid hobbies, so I’d rather stick to subject matter that captures my eccentric interests. What’s with the Racing Videos & Racing Men? I’m protective over the [Racing Videos], since they are my best gaming memory from the pre-Sims era. You won’t want others to say bad things about a similar memory of yours, so don’t do that to me. 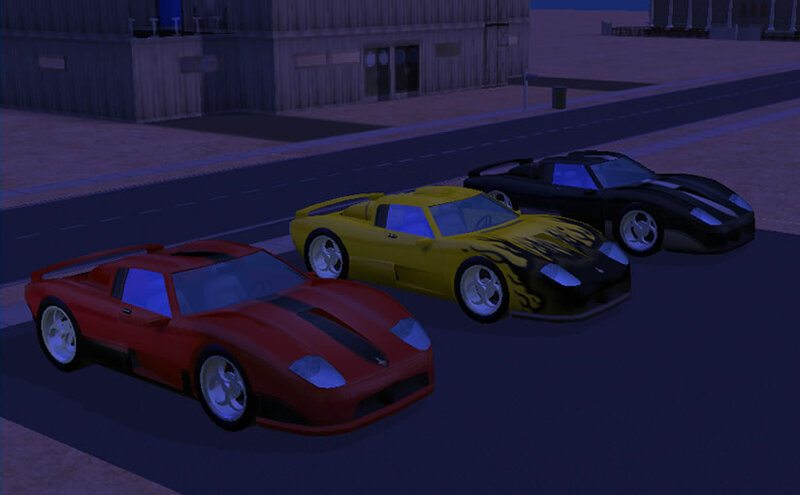 Due to the release dates of GTR98 (1997) and Sims 2 (2004), I would be familiar with the Racing Men (Sim incarnations of the GTR98 cars), before I “met” any default character from Strangetown / Veronaville. So I was old enough to play a racing game before Sims 1 even appeared; before some of you were even born. During a time when I almost risked losing interest in continuing STM, I added the CAS Racing Men as a last-resort gambit, to save my interest in the show. In other words, STM was saved by the Racing Men, from what could have been my breaking point to stop. CAS characters are more likely to be “personal” to the author, as players create their own sims for a variety of reasons. We do not often feel the same way about someone else’s CAS sims, as we do to our own. In a story featuring mainly premade characters, CAS characters throw in a slight plot variation to the otherwise identical sandbox that we share with other simmers. Is your real name “Aldo” and/or “Hyde”, or neither? I prefer not to confirm any of these possibilities. My username is derived from “aldehyde”, a real class of organic chemicals. “AldoHyde” also happens to be in the form “MontyCapp”, but that’s a coincidence, since I’ve been using this name long before I even thought of STM. What is your timezone? / Which country are you from / in? I prefer not to discuss ANY of these, especially if I don’t know you personally. My ONLY answer for this is “Strangetown”. Do you speak other languages besides English? Please use only English to communicate with me. Gameplay: Direct, literal. What “really” happens “normally” in-game. Machinima: “Machine Cinema” – storytelling using game video clips. More “imaginative”. Game animations may be re-interpreted for the story. “Machinima-Gameplay Hybrids” blur the line between these extremes. – You can’t DIRECTLY compare the popularity of “Let’s Play” Directors with “Machinima” Directors. Machinima usually has less hits/subscribers than “lets play”, because machinima often doesn’t offer any LITERAL value to the majority of Sims fans (who only want to play the game). Lumping “Lets Play” & “Machinima” Directors together as “Sims Directors” is like comparing a football team to a basketball team. – Everyone has the right to have their own versions of “default sims” (characters created by game developers). All versions are equally valid. – However, we should be careful NOT to “abuse” other simmers’ original CAS (Create-A-Sim) characters. If you want to use somebody else’s original CAS sims in your stories / shows, be polite and ask them first — they have every right to say “no”. – British & American versions of English spelling are equally correct in my eyes. – I actually have less patience with machinima WITHOUT subtitles, since I prefer to read than listen. This is why I tend to lose interest in machinima that uses ONLY voiceovers in a human language (with NO subtitles), even if they speak English.